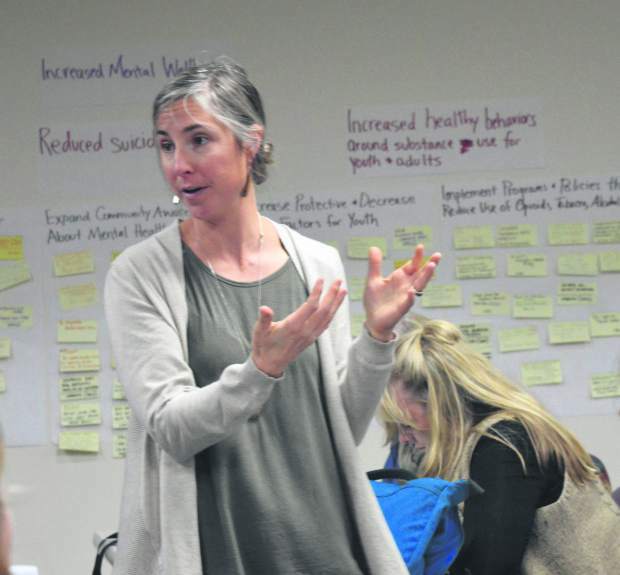 Jordana Sabella works in mental health in the Roaring Fork Valley and was one of the coordinators for the Total Health Alliance meeting Tuesday, Nov. 14. The group will create recommendations on how Eagle County’s voter-approved tax money generated from recreational marijuana should be spent. The Eagle County commissioners will make the final spending decisions. EAGLE — Ballot Issue 1A, a countywide tax on recreational marijuana, passed with 74 percent of the vote on Tuesday, Nov. 7, a landslide by anyone’s measure and the largest margin of victory anyone can remember. “Now the hard work begins,” Eagle County Public Health Director Chris Lindley told the Total Health Alliance on Tuesday, Nov. 14. “Four months ago, everyone in this room would have told me this tax would never pass,” Lindley told the group. The Total Health Alliance is composed of three dozen organizations that will recommend how the money generated from the new county tax on recreational marijuana should be spent. Members of the group packed the room in the Eagle County building for Tuesday afternoon’s first meeting. Transparency is one of the group’s top priorities. Meetings will be broadcast live and recorded, and media will always be invited to attend, Lindley said. Situational awareness is another top priority. That means making one another aware of what programs are already available around the region, said Becky Larson, Eagle County’s epidemiologist and deputy public health director. Then they broke into groups to list gaps in services, goals and how to reach them. Those were written on slips of paper and stuck on a board for everyone to see. 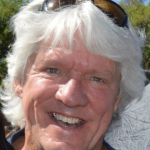 That list will be compiled and posted on the Alliance’s website, as well as other websites and media outlets, said Jordana Sabella, who works in mental health in the Roaring Fork Valley. We know a couple of things so far. First, there is no money right now, and quite frankly no one knows how much there will be in the first year or so. Anyone who showed up Tuesday hoping to get their project funded would leave disappointed, Lindley said. Second, there will always be more needs than there are dollars to address them, Lindley said. Eagle County voters approved Ballot Issue 1A, a tax on recreational marijuana that could eventually raise as much $2 million a year. The tax goes into effect Jan. 1, and according to the ballot language, the first $1.2 million annually will be spent on mental health programs. The Total Health Alliance will make recommendations to the Eagle County commissioners, who will make the final decisions about how the money is spent. “There are no pet projects at this time,” Lindley said. Still, crisis beds are at or near the top of the list. There aren’t any right now, Lindley said. A facility in Edwards is on the drawing board. The Hope Center in Basalt is planning to add beds. Mental health counselors in the Eagle County jail are also high on the priority list. “A lot of what we see in the jail reflects the need for crisis intervention beds,” said Capt. Greg VanWyk, with the Eagle County Sheriff’s Office.